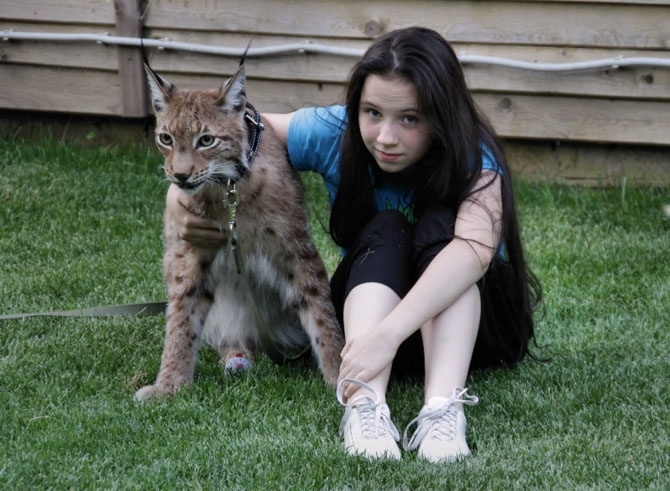 Spouses Pavel and Svetlana from Kaluga had kept 4 Kurilian bobteils but in 2009 a little lynx named Zen also became a member of their family. The owners say it behaves like an ordinary cat and even sleeps with them in one bed. 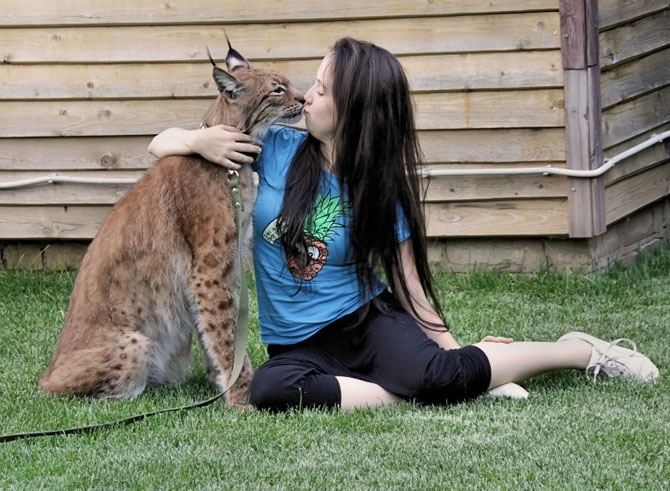 It had been a dream of the spouses to have a lynx. They had consulted with specialists and read about this animal a lot. Once they heard about a little orphan lynx in one zoo and made a serious decision. The Kurilian bobteils adopted the little lynx and took care of it. The lynx still submits to the cats though it’s much bigger. It purrs like a cat but obeys orders like a dog. 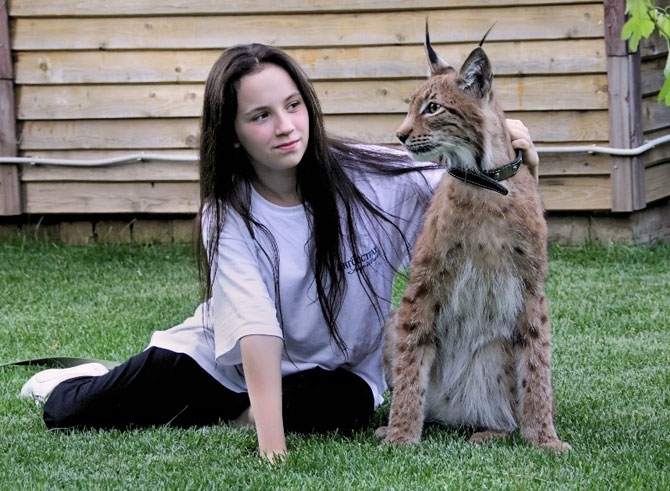 Pavel and Svetlana’s daughter Sophia aged 11 is in love with the lynx. They play together and take care of each other. The owners say that they have the lynx “for soul”. Sure it looks cute now, but wait till it’s drinking from your jugular! Hahahaha No seriously, can you imagine that thing sitting in it’s litter box? Oh the horror. That’s a nice big cat. They should submit their regular one to the “Cats that look like Hitler” website. I thought you were making the joke! There really is such a website! Dangerous animal. Many of such nice stories have bad end. If I had a pet like that anywhere in the states and someone saw it there would be 4 police cars and the animal control at my house and I would be on the news!It is a cool cat. oh really?^^ whenever i hear about people keeping anacondas, cougars and tigers in their garden, its always in the us. ok, the guy with the tiger in his kitchen was arrested, but I’ve heard enough of other dangerous animals kept in american households. In India it is legal to have lions and tigers as pets.In America if you are someone important maybe you could have a tiger!There are people who have big snakes and wild cats and I see them on the news because they should not have those kind of pets! 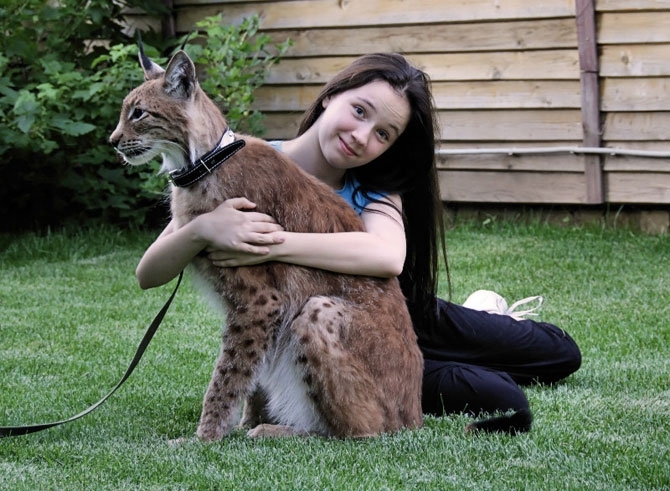 I don’t think any state would allow a Lynx as a pet,it would be a big safety concern! 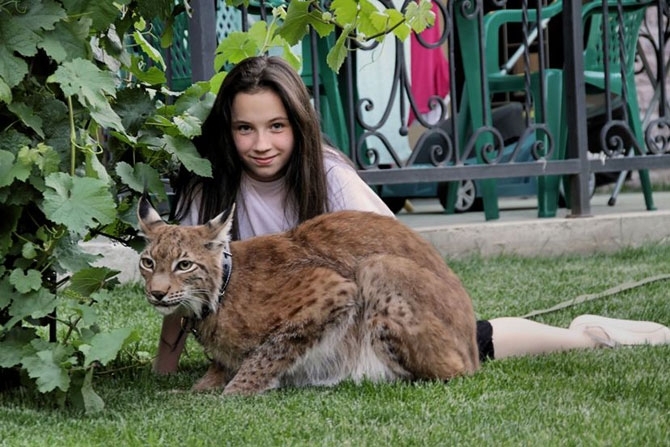 The Russian Lynx appears to be much larger than the North American variety. In the U.S. and Canada we have Lynx Rufus, the Red Lynx. Interesting that Russia doesn’t have the Red Lynx. 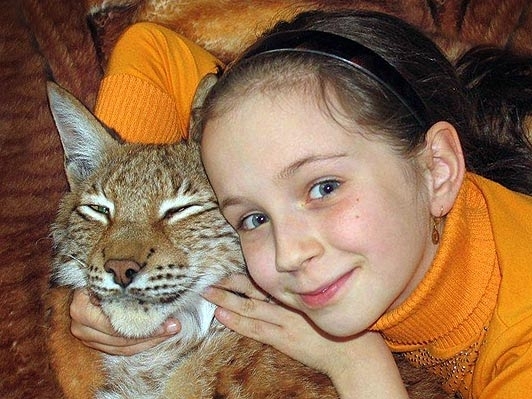 it’s an Eurasian lynx(found in Europe,Russia and Asia). 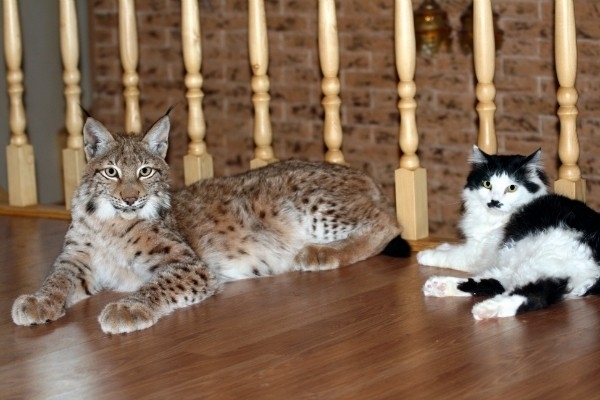 The biggest lynx subspecies in the world. Many wild animals make fine pets when young, The problem comes when they get older they can attack for no reason.